I want to look in some depth at a letter written by Anne Beauchamp, countess of Warwick, to the Commons after the Battle of Barnet. She wrote other letters, to several of the ‘ladies noble of this realm’. I haven’t been able to find any of them, but they probably don’t say much that isn’t said in the one I do have. What would be interesting to see would be any difference in tone. This is a formal letter, written to a formal government body. Anne had, by this stage, reached the end of the list of people (or bodies) she could appeal to. I get a strong sense of the woman herself from this letter. Anne knows her rights and knows they’re being violated. The decision taken by parliament to disinherit (impoverish) her, must have been extremely hard for her to take, especially as it was her daughters and sons-in-law who benefitted from it. I can’t help but think she felt betrayed by them. Above: Anne Beauchamp alongside her husband Richard Neville, earl of Warwick, in the television series The White Queen. Wife to a kingmaker and mother to a queen, Anne Beauchamp, Countess of Warwick, is nonetheless one of the more shadowy figures caught up in the Wars of the Roses. Yet her life intersected with those of the most powerful men of the time, and her wealth would be much desired by some of those men. historical novels, especially your accurate historical research. 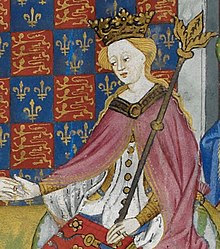 of Anjou refers to her great enemy, Richard, Duke of York. The first battle of St Albans represents a landmark in the dispute between York and Lancaster; not as the first battle of a civil war, since it was not that, or as their biggest or bloodiest battle, since it was not that either. Its importance lay in the fact that it represented the ultimate expression of York’s change of tack from being the king’s champion to being the realm’s champion. How now? Is Somerset at liberty? On his return from service in Normandy, duke Richard was the king’s true liegeman and an obedient servant of the Lancastrian establishment: or so it seemed. If he blamed the government for his enormous debts incurred on the king’s service, he did not show it. If he resented the preferment of John Beaufort and two other Lancastrian earls, he did not show it. 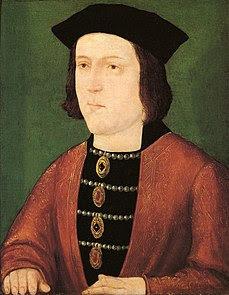 If he was angry at the loss of Anjou and Main as part of the queen’s marriage settlement, he did not show it. In fact his reticence was a remarkable display of sangfroid in the face of his worsening financial, dynastic and political situation. Whether this reflected his true feelings or not is doubtful. Although there was now a fracture in his bond of loyalty to the Lancastrian government, he could not afford a public show of pique. He was politically weak and only harm could come to him from making a fuss now. Discretion is indeed the better part of valour; York was keeping his own counsel and biding his time. 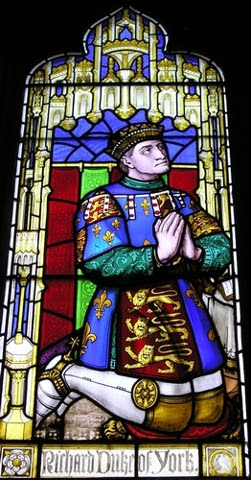 On the 10th of October 1460, Richard Plantagenet 3rd duke of York walked into Westminster Hall wearing the full arms of England undifferenced. After a moment, he put his hand on the empty throne. When asked if he wished to see the king, he replied “I know of no one in the realm who would not more fitly come to me than I to him”. 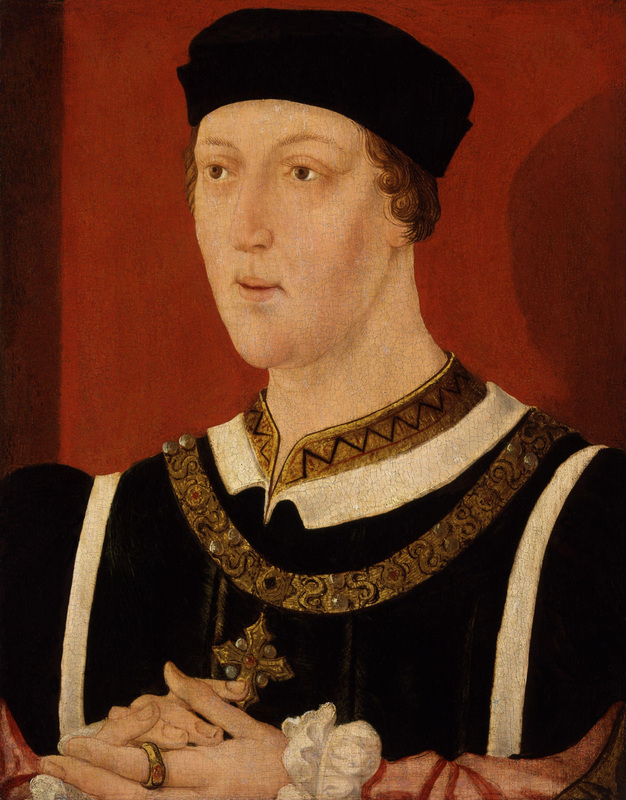 With those words, he declared to all those present that duke Richard had finally renounced his allegiance to king Henry VI and claimed the English crown by right of strict inheritance. York’s motive has puzzled historians ever since. Was it really his ‘natural disposition’ to champion the public interest, or was it the notion that he was the rightful king all along that stirred his ambition? This is the first of three essays in which I hope to explore that question from a personal perspective. I should add for the avoidance of doubt, that I have no intention of considering the validity duke Richard’s title: that is for another time. Neither is this a potted biography; I have included a few details of what I believe are some relevant friction points in his life for purely contextual reasons. Propaganda, perceived by many as a twentieth-century phenomenon, has permeated recorded history. The mass propaganda of the world wars and cold war linger most in present memory, due not only to its chronological proximity, but also its potency. Earlier uses of propaganda can easily be overshadowed, in many cases considered mere bias. Yet it has always existed, and in England developed particularly in the years from 1455 to 1485, which saw a growth in the awareness for the need of propaganda to stabilise or undermine the regime in power. Many historians have made reference to propaganda in the prepared speeches in the parliamentary records for 1455-61, but few have scrutinised them as a whole as I intend to do here.